March’s Pet of the Month is the lovely Lightning who is an 18 year old female tortoise. Lightning came in to visit vet Dee Collins after awaking from hibernation. 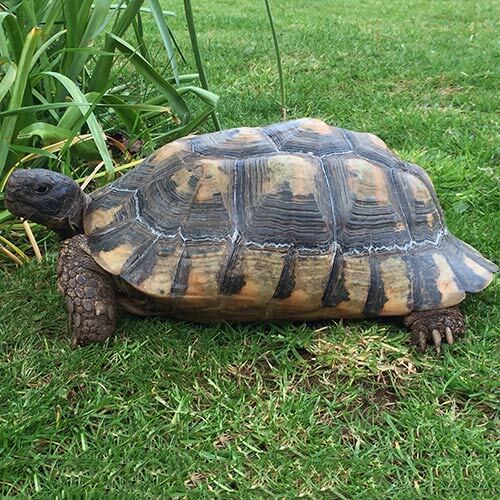 At Quantock Vets we recommend all tortoises have a pre-hibernation and post-hibernation check as hibernation can take a significant toll on their bodies. Although Lightning seemed well in herself and was already eating and active, vet Dee soon noticed something was wrong – septicaemia, a bacterial infection. This was instantly recognised by Dee due to pink “blushing” of Lightning’s skin. After inspection, the source of the infection turned out to be an old, infected abscess on her neck. 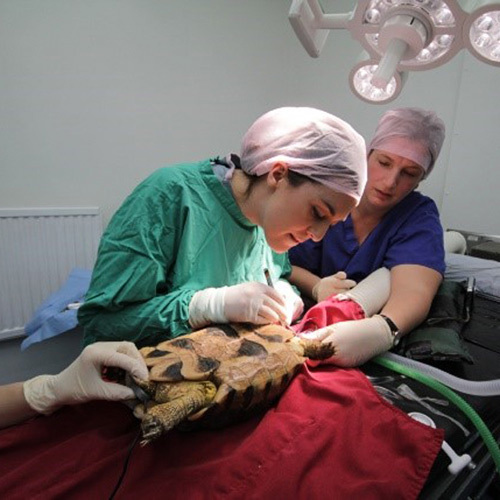 Due to her special anaesthetic requirements as a reptile, Lightning had three nurses taking care of her alongside Dee performing the surgery and we’re delighted to report that the surgery went very smoothly. Lightning recovered well and was ‘zooming’ around her home again in no time! Lightning’s Owners were relieved to have her home “Dee provided excellent professional advice and care. Lightning is a strong, determined character and she recovered quickly following her operation. We were all very pleased to have her back and reunited with her partner ‘Thunder’. Now the weather is warmer she is basking in the sun and de-weeding the garden of dandelions”. Lightning is one of many reptiles we see here at Quantock Veterinary Hospital and we chose her for Pet of the Month because she is such a big personality and took everything in her stride. Tortoises can live for as long as humans so we hope to keep seeing Lightning for her routine checks for many years to come!